cAuthors can claim to be an expert in any field, but very few of them have the education and experience to back up these claims. However, Shakti Gawain is the exception as she is one of the New Age writers who has really taken a strong hold in the creative visualization field. By reading this article, you will learn who she is, some of her major accomplishments, her popular books, and even how she has impacted the creative visualization niche as a whole. Born as Carol Louisa Gawain, Shakti is a writer and what many consider a pioneer in the field of personal development and creative visualization. However, even with all the experience she has in these fields, twenty five plus years, she still has a strong love for helping people. 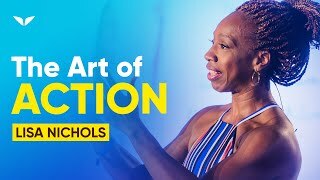 In this time frame, she went from being unknown to being seen as one of the most inspirational speakers on the topic of creative visualization ever. Outside of the strong passion for creative visualization, she loves the environment and works as hard as possible to help save the planet and restore the fragile balance. Currently she lives in Mill Valley, California with her husband. Shakti may not be the first name people think about now when it comes to motivational speaking and finding their inner peace, but she is definitely one of the first in the field. In fact, she has worked tirelessly at getting her readers to connect to their inner peace, which they need to have to move on with their life. In this time frame that she has worked at developing creative visualization Shakti Gawain style, she has helped many in getting to see their life in a different perspective. In most of her books and studies, Shakti Gawain, in a very creative way, manages to teach us how to take and create a mental image of what we want. When her students have a mental image of what they want, it generally is going to lead to getting what they wish to have. 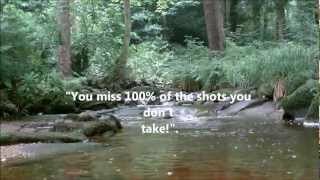 Without this education on how to bring the mental image to the forefront, many students may have the image glowing in background, but not have a chance to really focus on the image because they are distracted by the other items in their life. When folks receive those mental images, they will then need to take it a step further and focus on the affirmations to help them in growing their life. By focusing on these mental images, finally there is a chance to get their lives transformed. Then they will see what their mental image is going to lead to when they successfully complete their project. Typically, just getting a book published would be an accomplishment for most of us. However, Shakti Gawain went one step further by becoming a pioneer in this field. She managed to lead a very successful career in speaking and motivating others to visualize what they want to obtain. However, the appearance on television shows is not her main accomplishment, but all the thousands of people she has helped is. The positive breakthrough the students of Shakti Gawain experience comes on multiple levels – their emotions, mental health, physical improvements, and even in the way they lead their spiritual life. All of these methods are possible because of the way she has educated her students and readers in transforming their lives. So this is what most people consider her major accomplishment, even if others view this as nothing more than her job as a motivational speaker. Creative Visualization Shakti Gawain considers this book as one of the most important books she has published. The full title of the book is “Creative Visualization: Use the Power of Your Imagination to Create What You Want in Life”. With this book, she takes a tremendous insight into the way nations around the world are living their lives and how they can change them and invite peace and abundance. This in turn helps people in getting to see life as they want to see it, rather than being stuck in the same rut they had always been in. Living in the Light is one of the other popular books she has published. In this book dedicated to creative visualization Shakti Gawain focuses on how the balance of the planet and personal inner stability have to both exist. This way people are starting to see how any impact on the planet is going to affect their own lives and how the simple changes they make affect much more than their immediate field of existence. Four Levels of Healing is another one of Shakti Gawain books deeply connected with creative visualization concept. It helps people recognize and find the different levels of healing. These levels will help people perfect their healing and know they will not be suffering from any of the problems they had been experiencing before. So people need to think about this healing on different levels of their life to help guarantee they can start to enjoy their life and know it is going to be exactly how they want it to be lived. Like most famous authors Shakti Gawain has made several appearances in places all over the world. However, one of the most recognized guest show she has been is on the Oprah Winfrey show. When she was on the Oprah show, Oprah even made the claim that creative visualization is what helped her get to where she is now. In addition to the Oprah show, Shakti Gawain has been on multiple radio shows. These radio shows are not only hosted and broadcast locally, but some of them are broadcast nationally on syndicated radio shows. After the radio shows Shakti managed to land herself a spot on The Good Morning America TV show, which helped propel her and the creative visualization programs out into the eye of the public. As many people have seen, Shakti Gawain is more than just a noted author in the field of personal development. 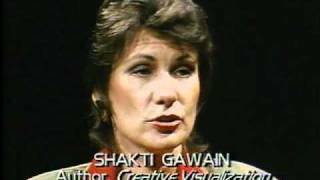 In fact Shakti Gawain is an expert in creative visualization and was a life changer for so many women and men. She takes some of the worst experiences we can ever have and transforms them into an experience that completely changes our lives. This in turn makes it easier for us to lead a more peaceful and successful life. Finally, instead of just dreaming of perfect relationships, spiritual development or abundance, Shakti Gawain shows us the way to actually take the path of achieving all these goals.